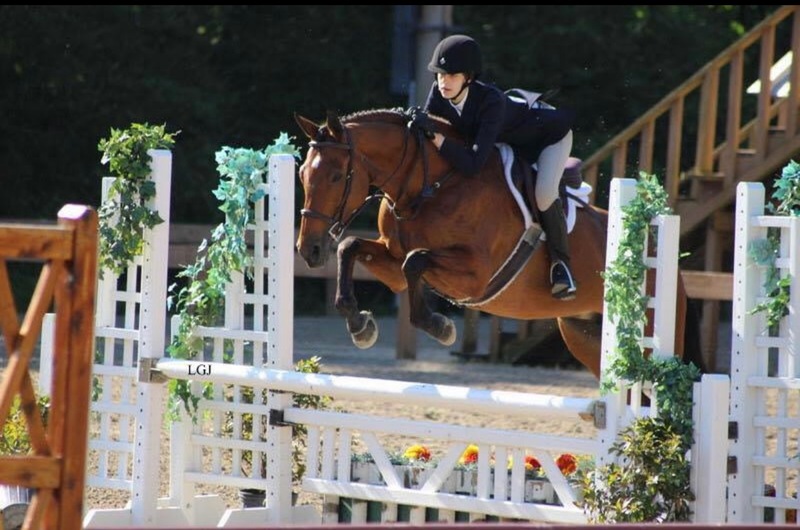 2003 Argentine Warmblood, mare, bay, 15.1 hh. Auto changes, gets a piece of hack and jumps every time. Huge step, walks the lines. Can take a joke. Long A show record. The winner at 2'6 & can move a kid to 3ft.